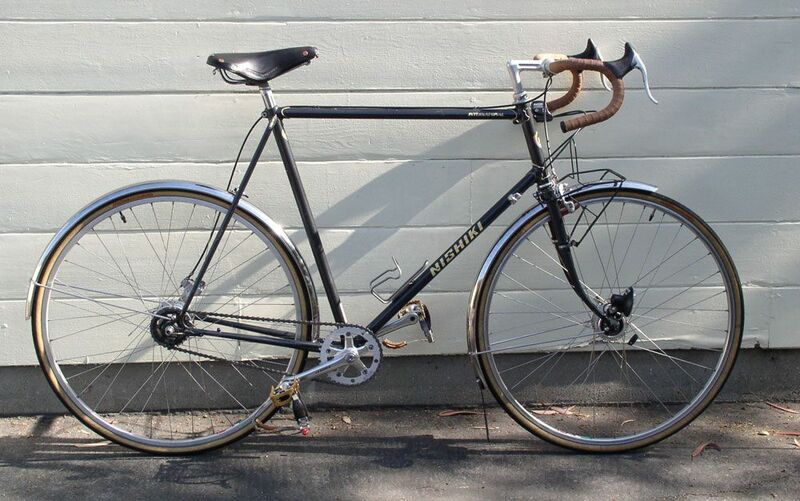 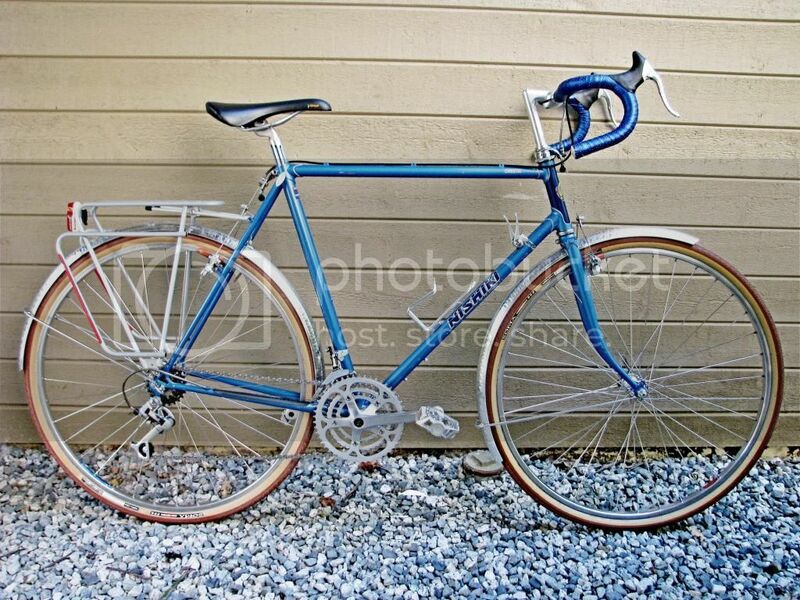 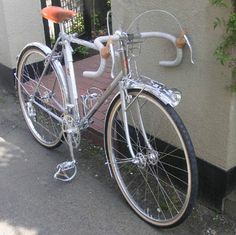 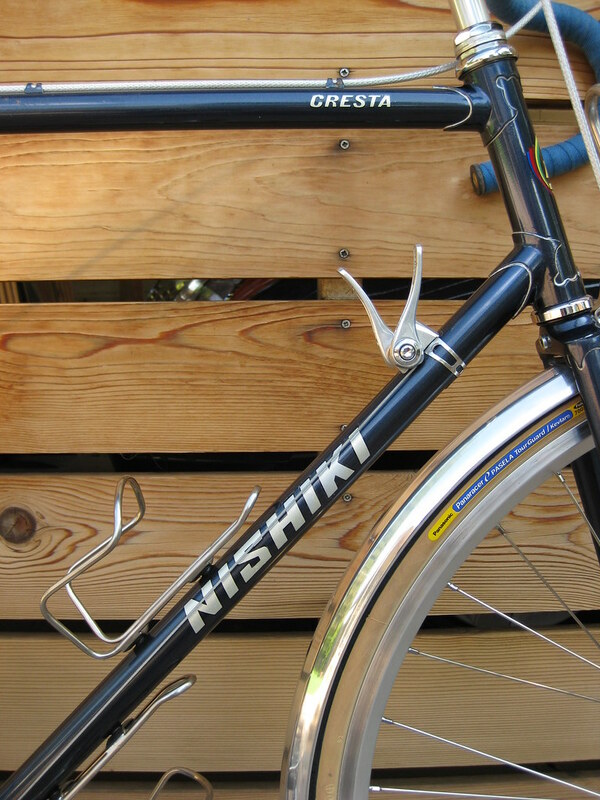 Another Nishiki Cresta, this one is a 1982/1983 model. 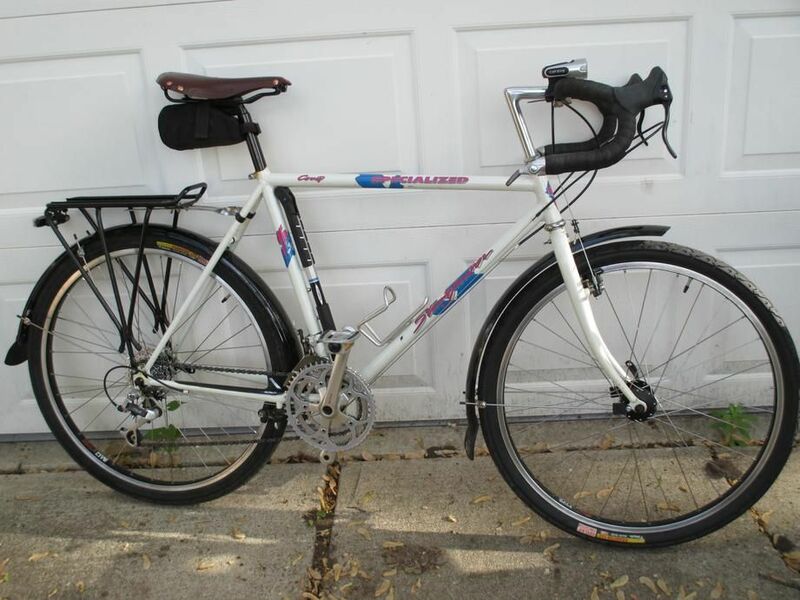 I have since replaced the tires with Compass Stampede Pass Extralight tires. 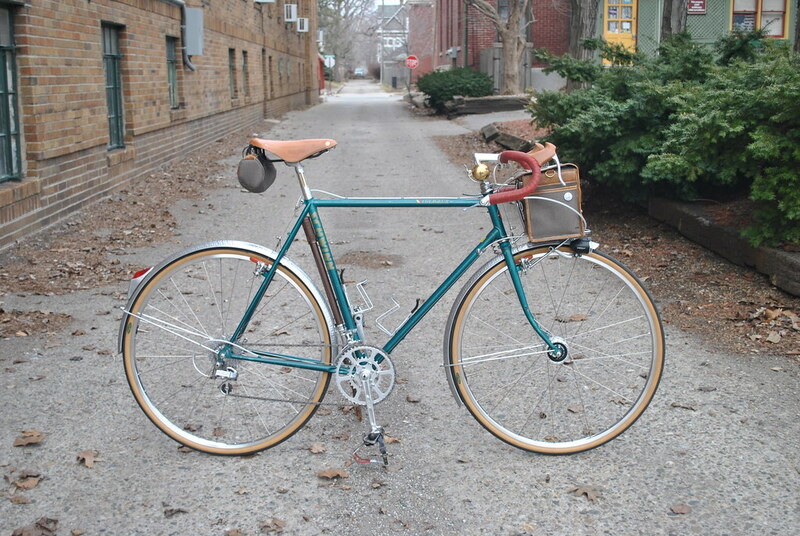 Super sweet riding bike. 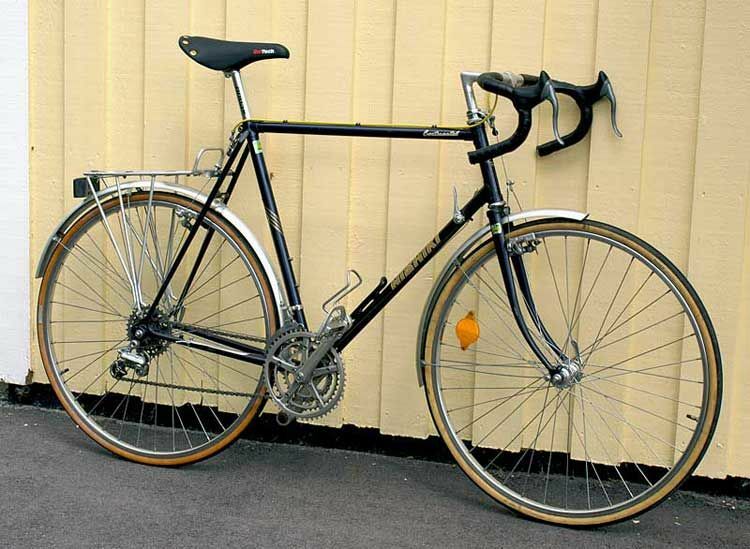 ... Japanese touring to replace the hole in my quiver, thank you @The Thin Man, for selling me the 1987 Nishiki Cresta GT, I hope to start the resto soon. 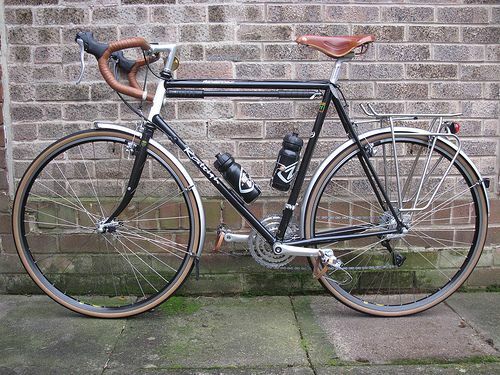 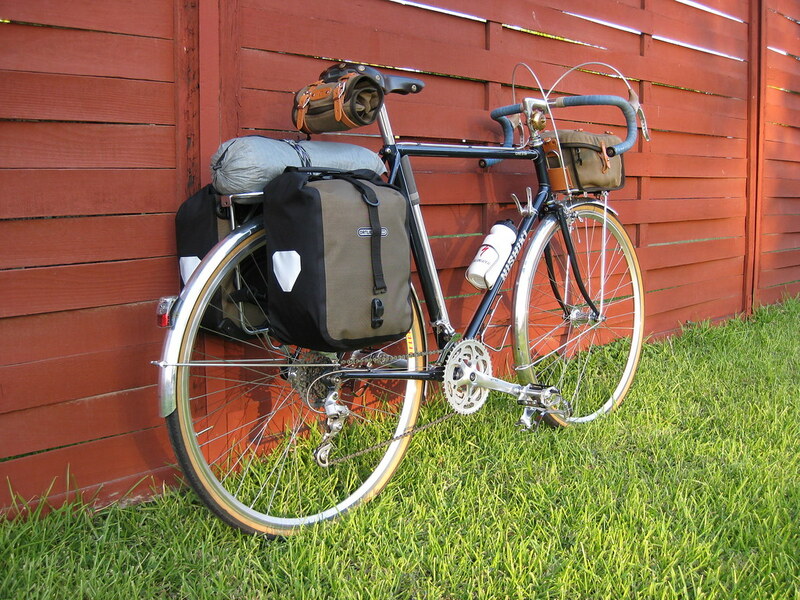 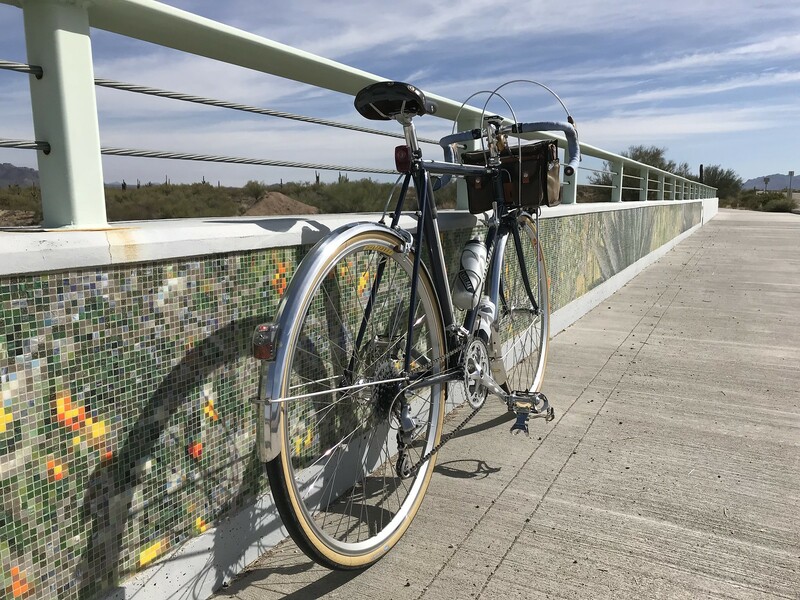 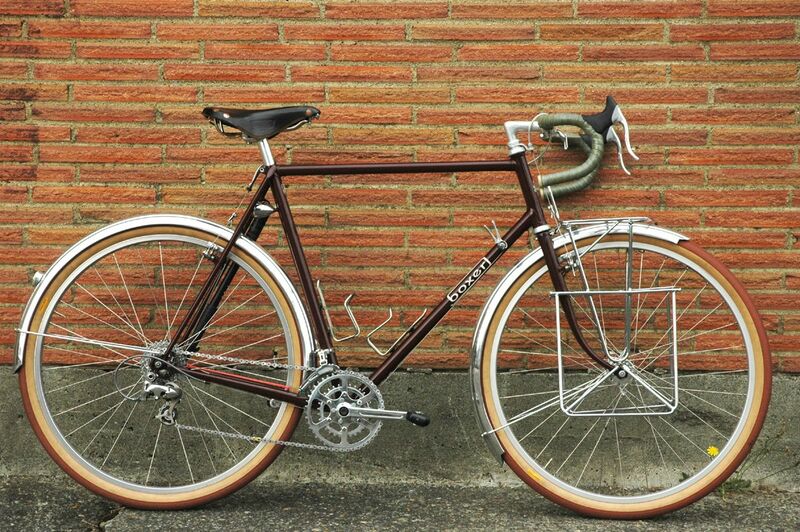 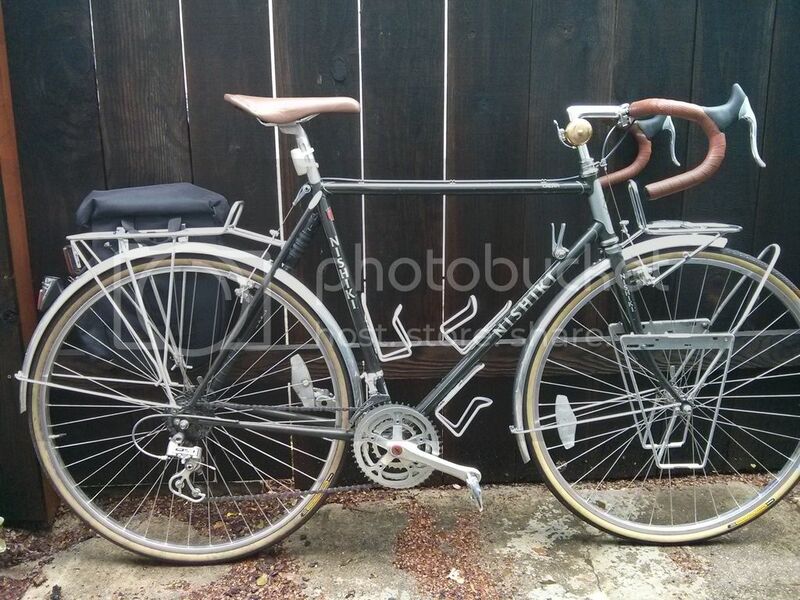 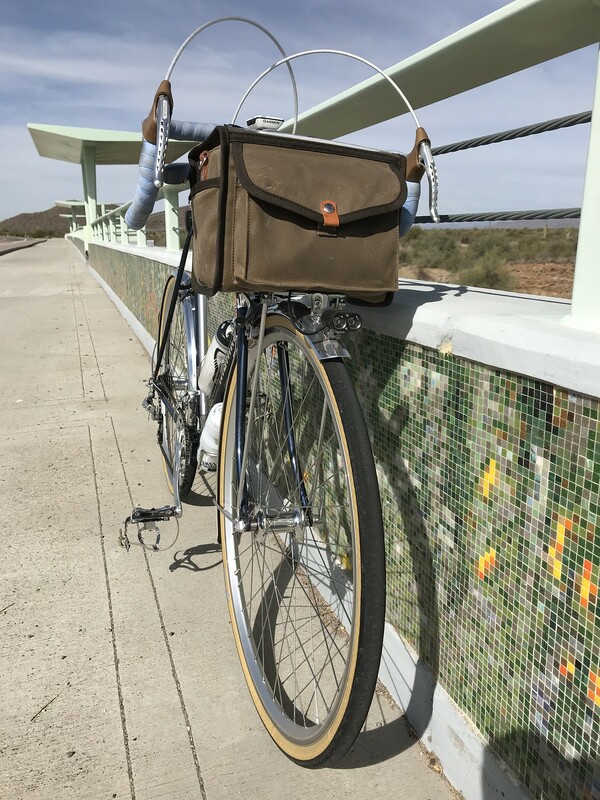 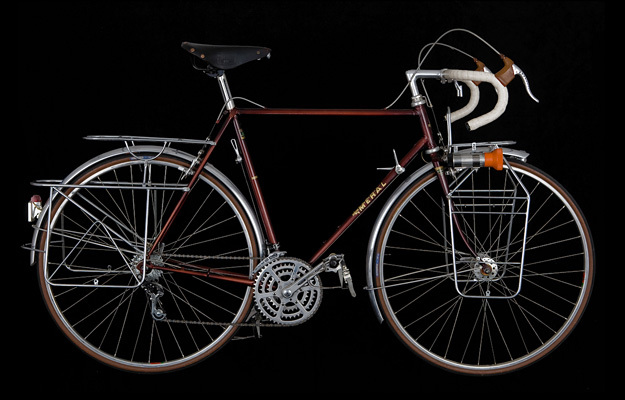 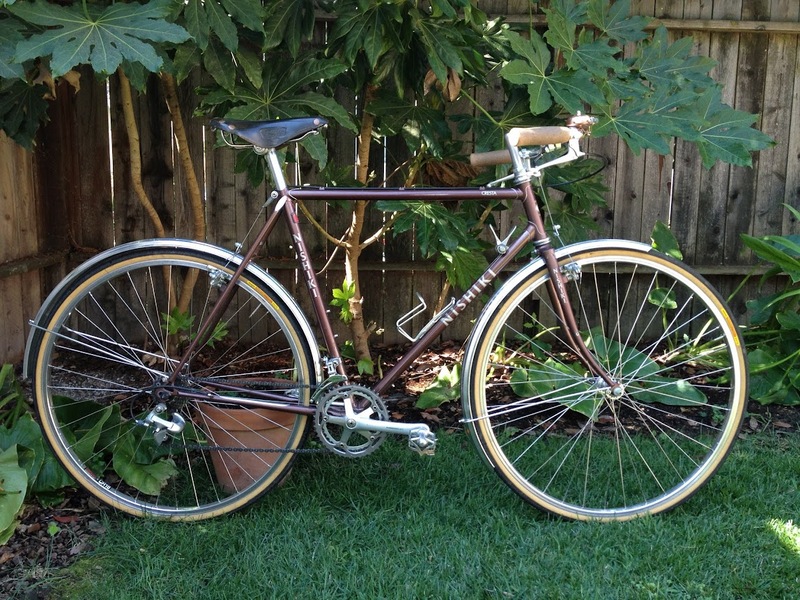 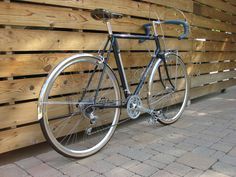 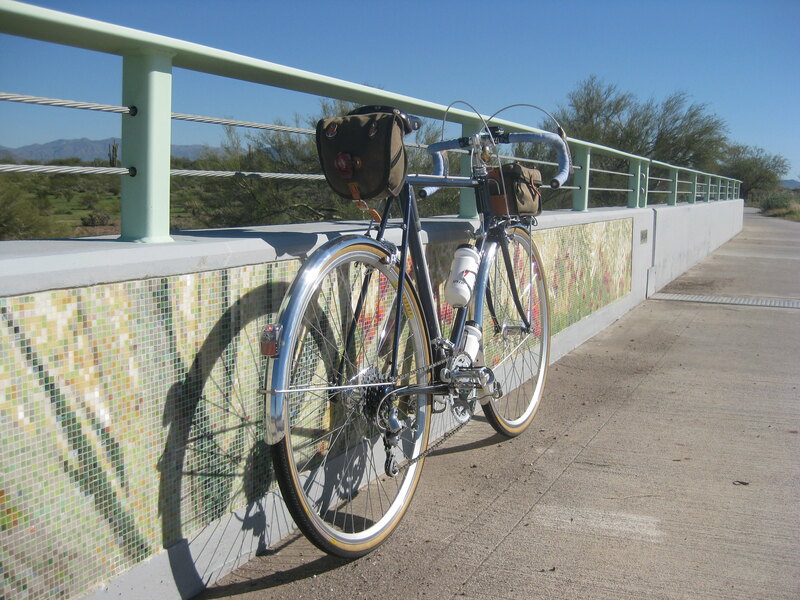 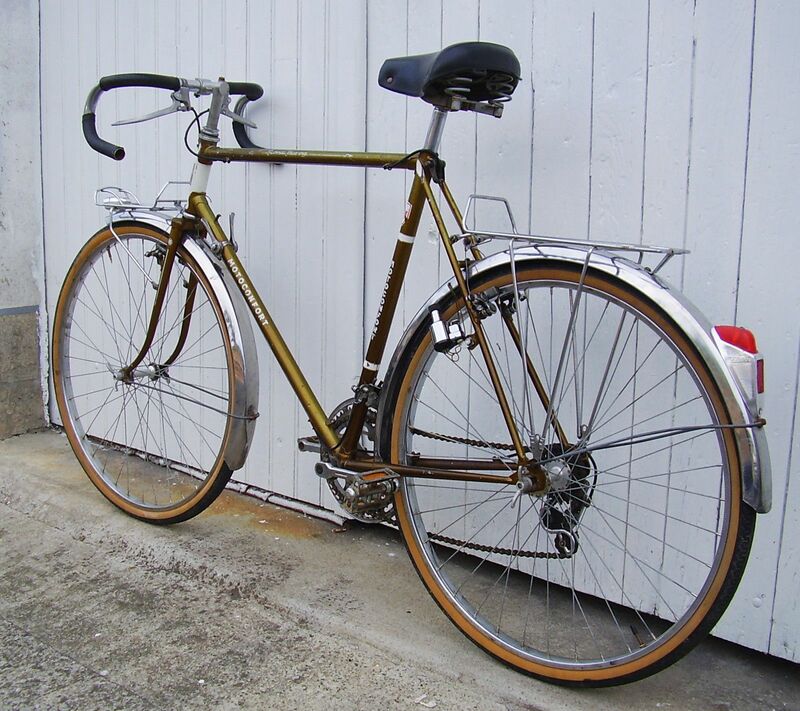 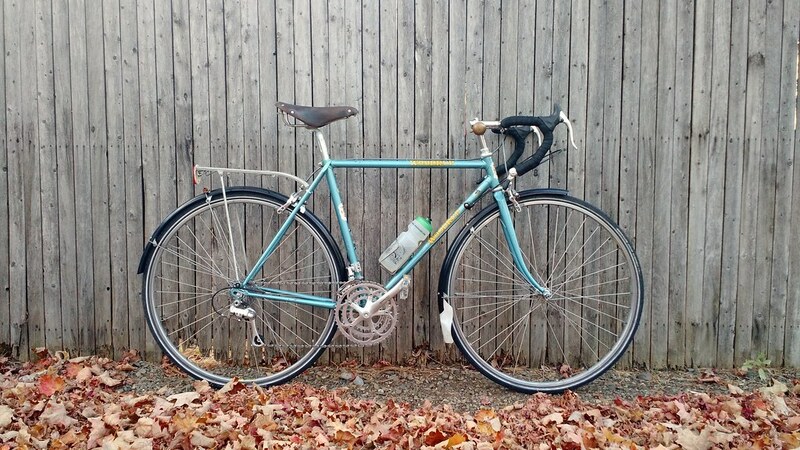 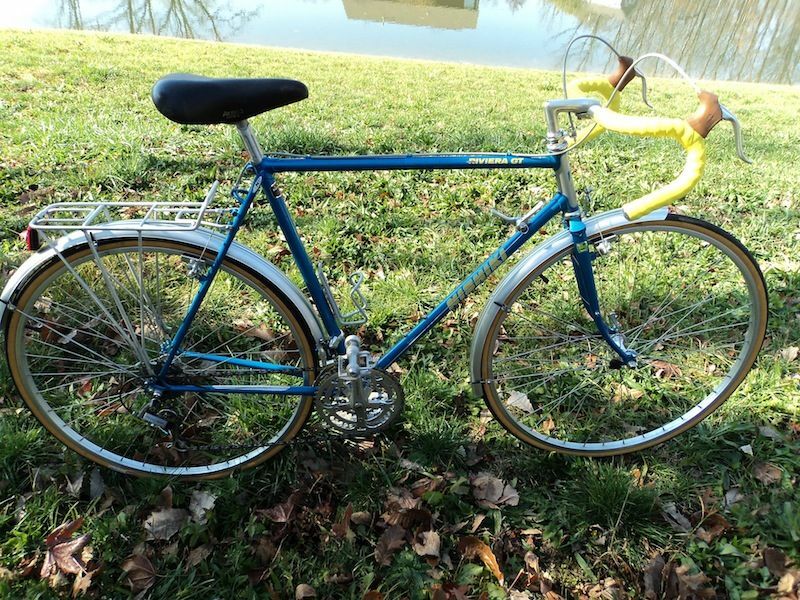 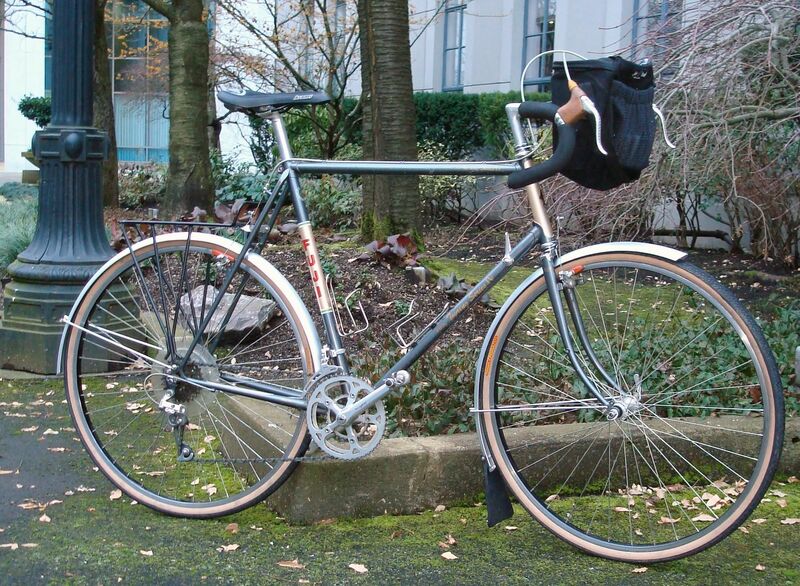 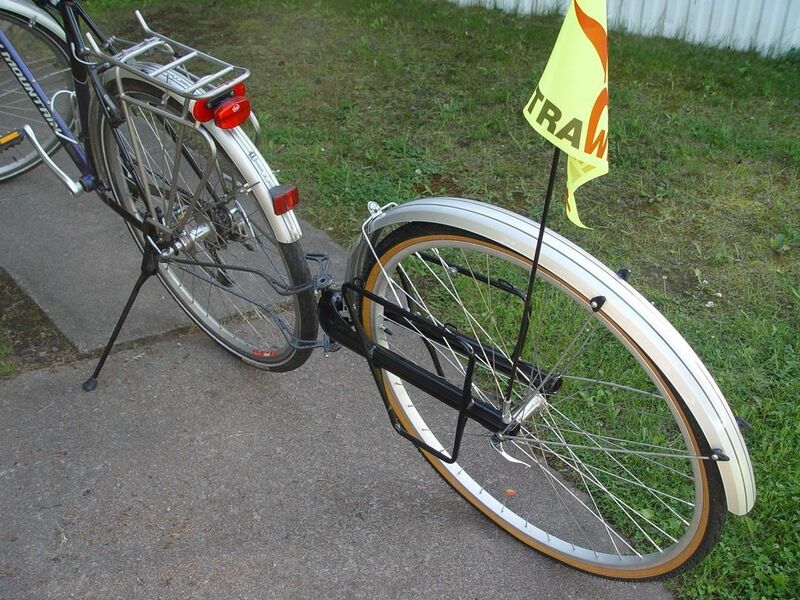 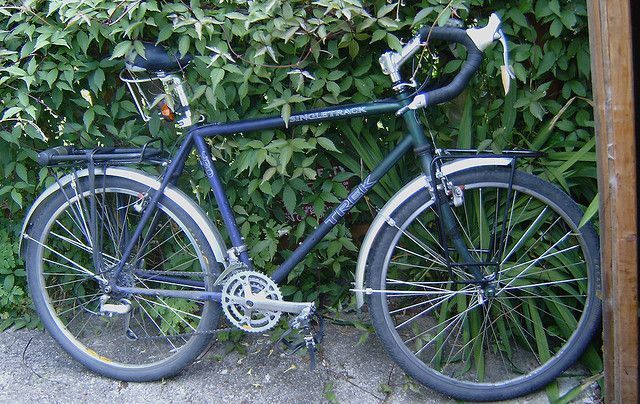 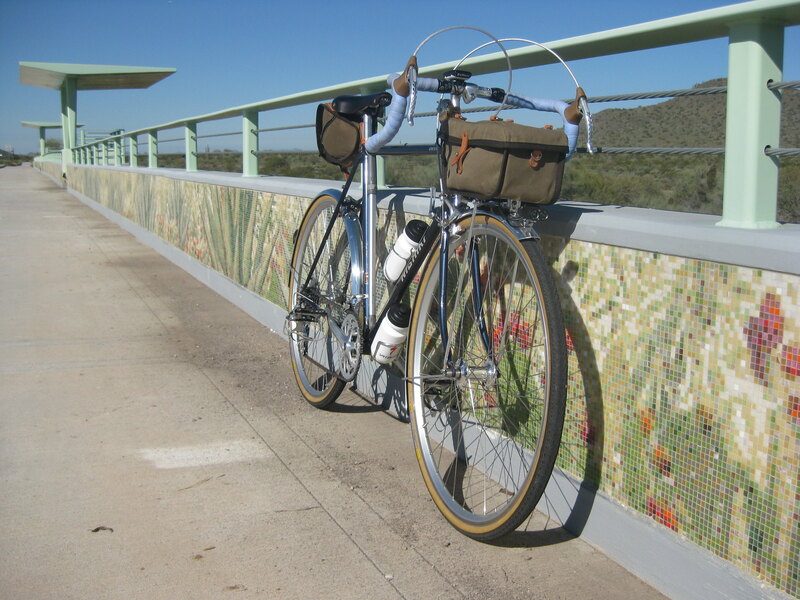 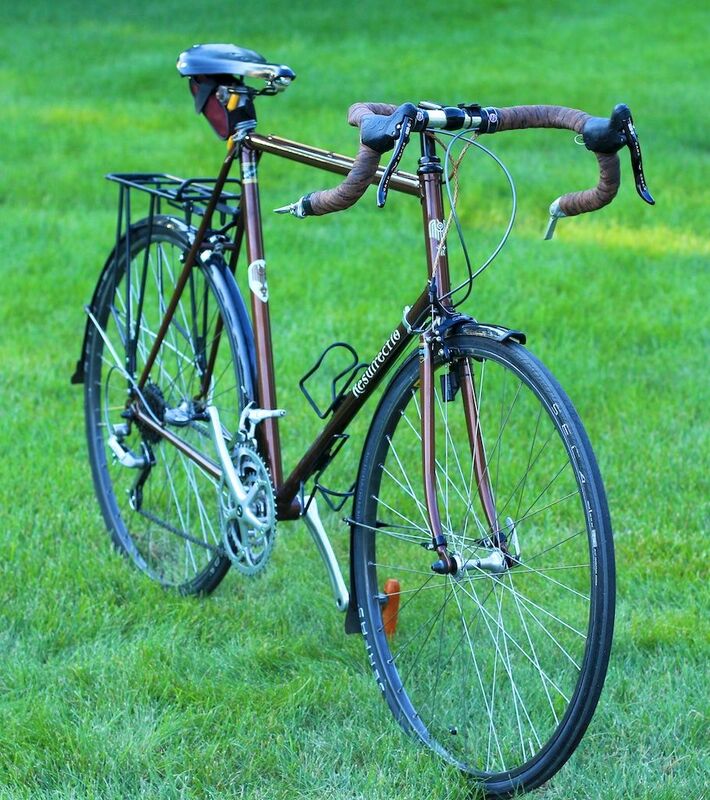 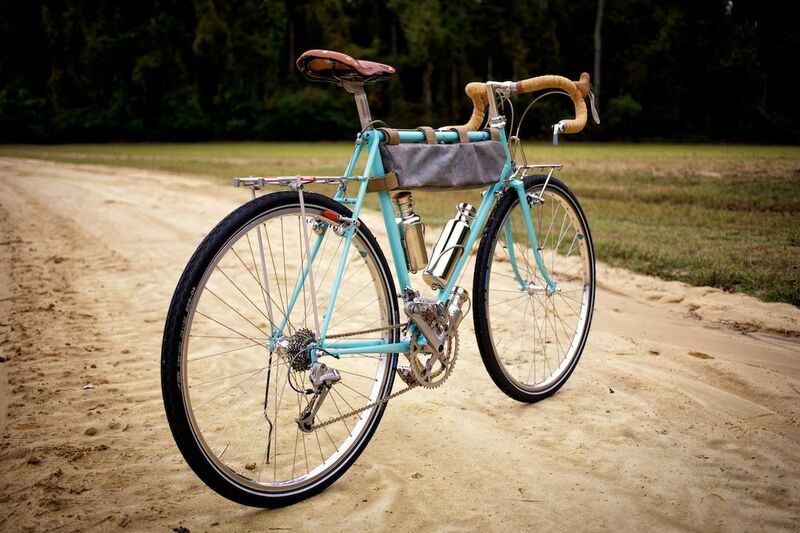 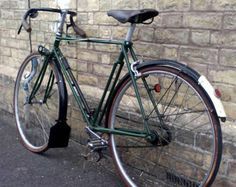 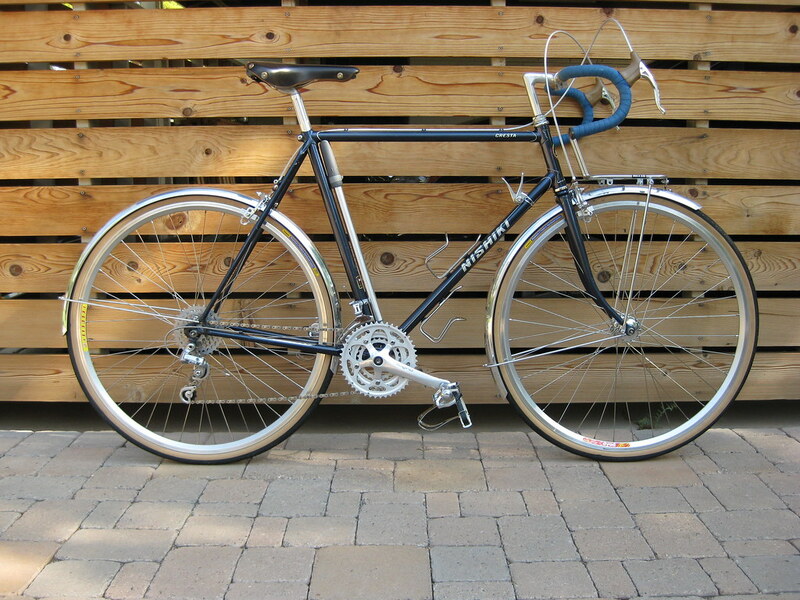 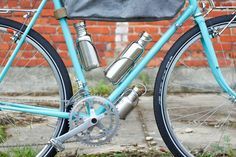 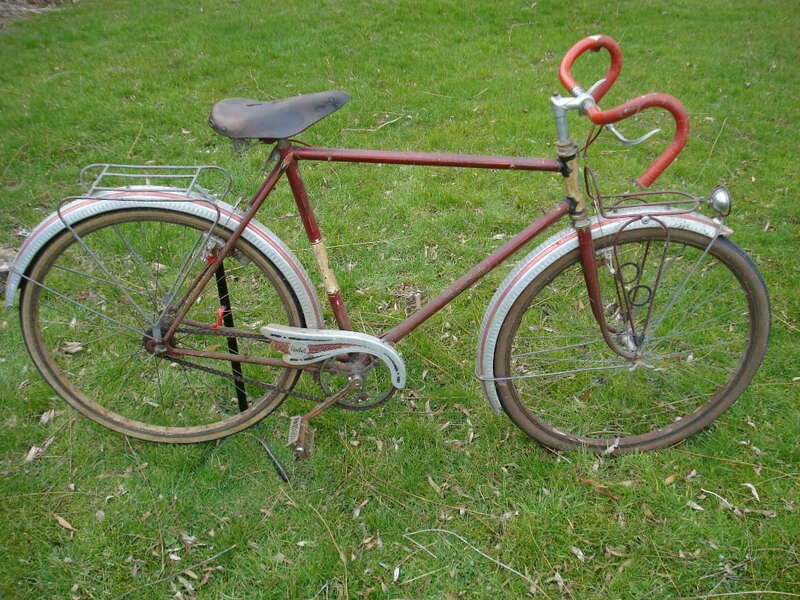 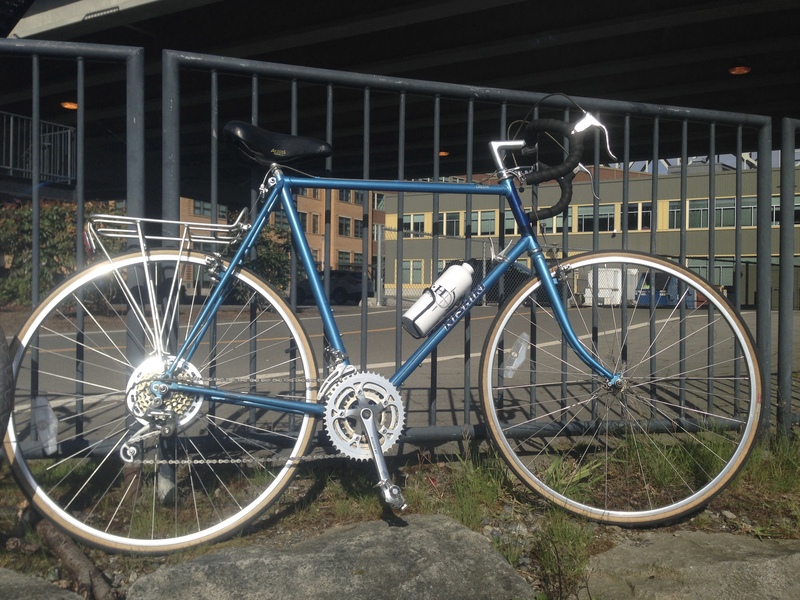 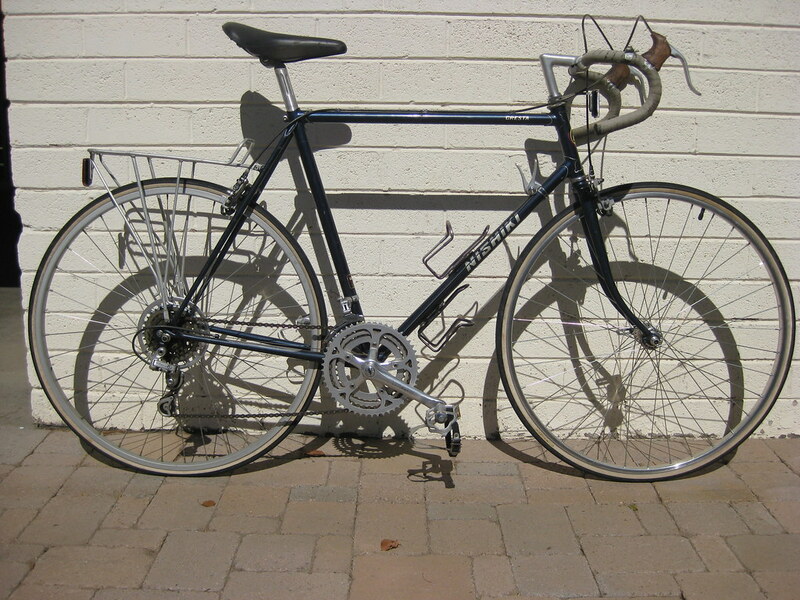 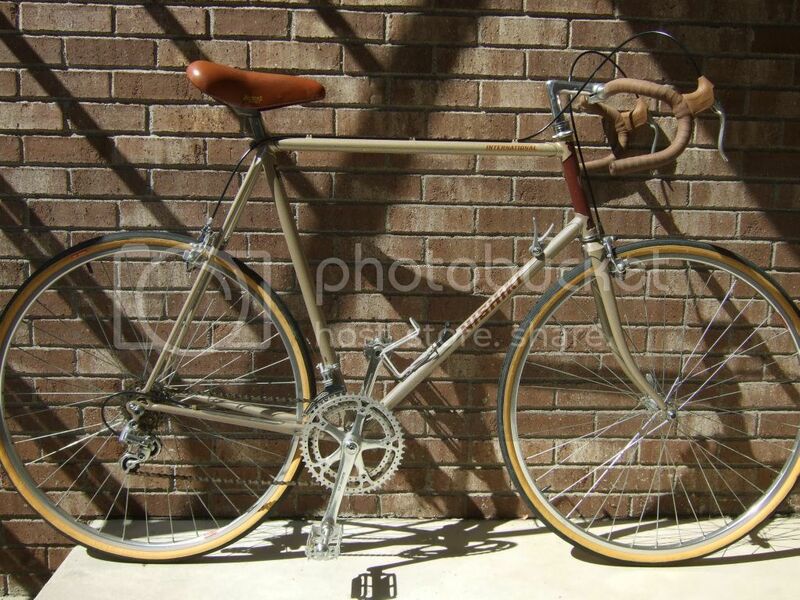 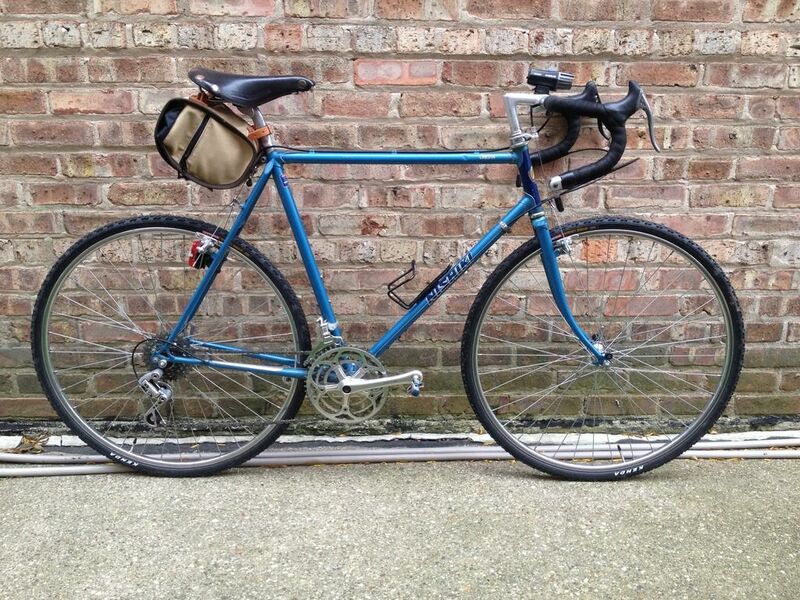 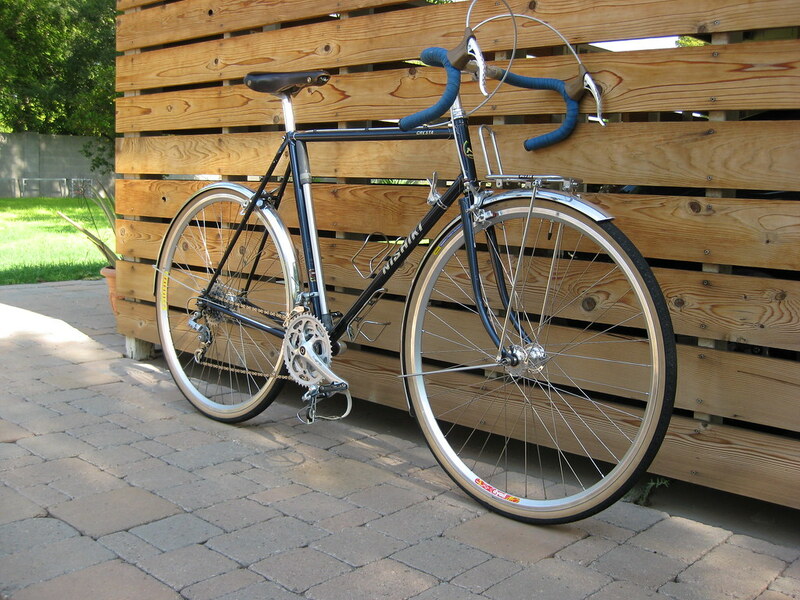 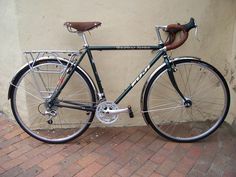 A renovated vintage touring bike, Panasonic Pro Touring, built from a crusty $50 relic from Craigslist. 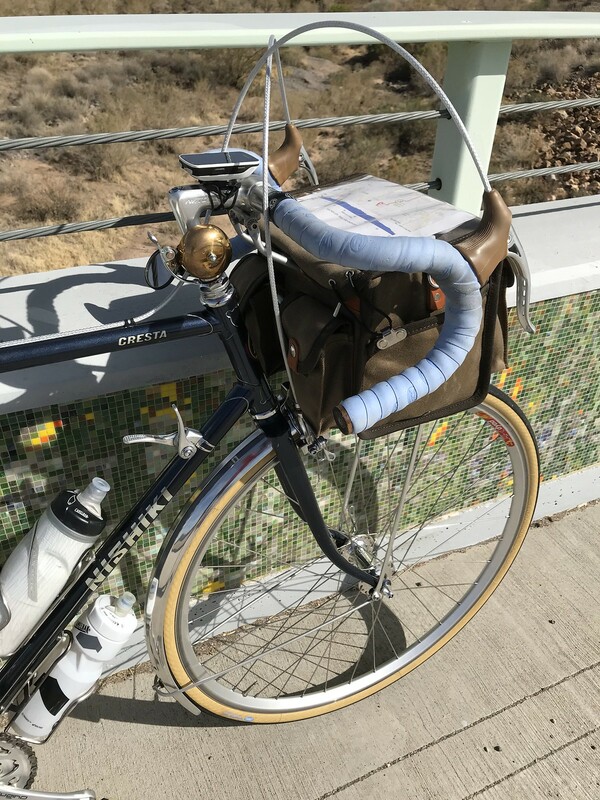 @xtacular: those older frames generally have relatively short top tubes, so getting comfortable on a larger frame is usually not an issue. 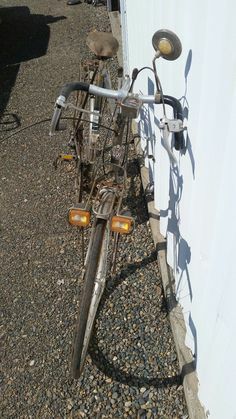 ... work on a bike but I have done major suspension and engine work on my truck so hopefully with the help of Youtube and you fine folks I can learn! 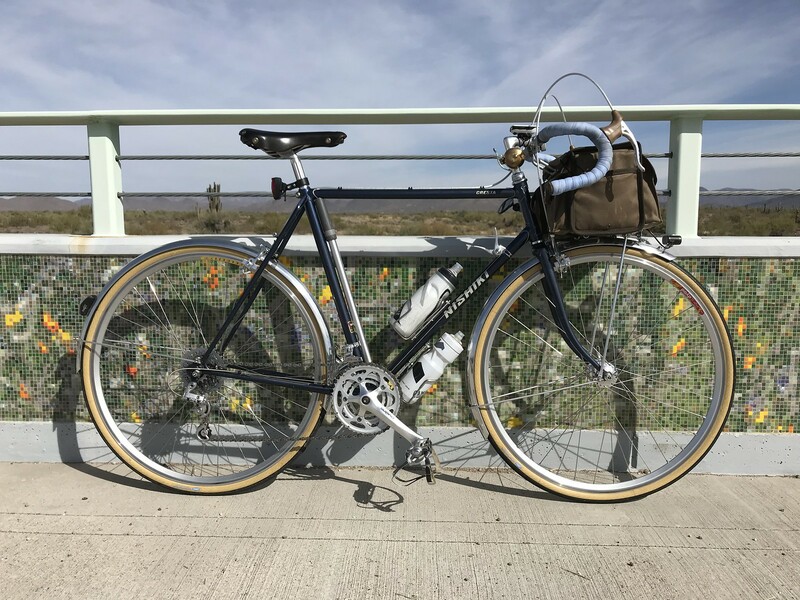 Not exactly a randonneur, but the closest I have to it. 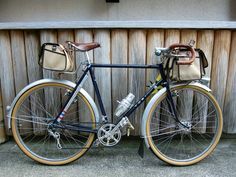 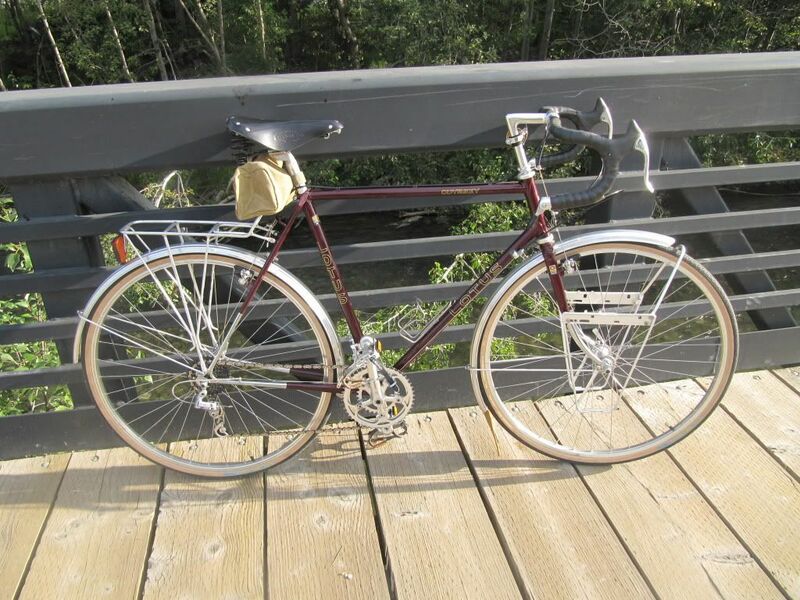 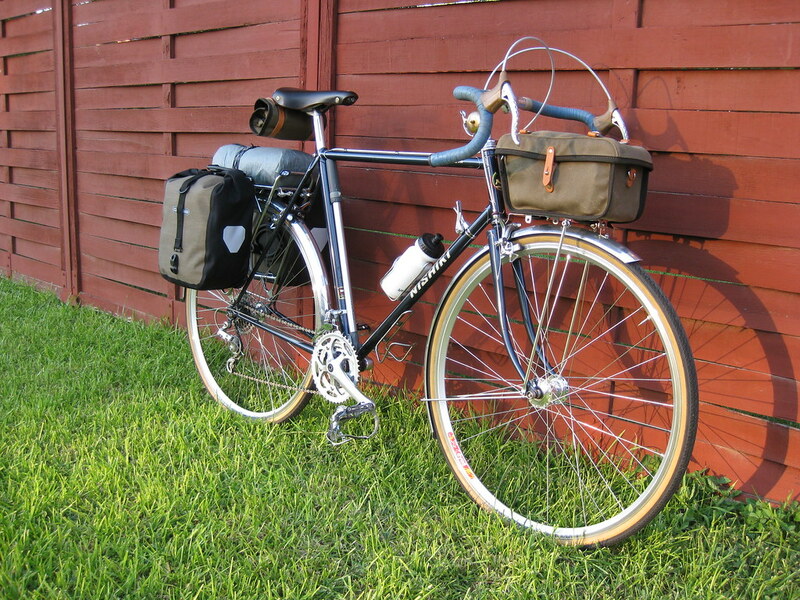 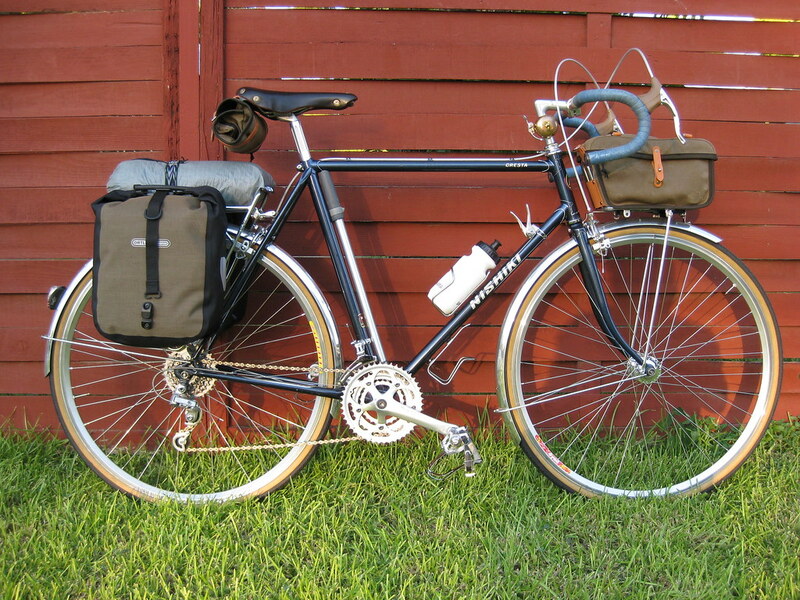 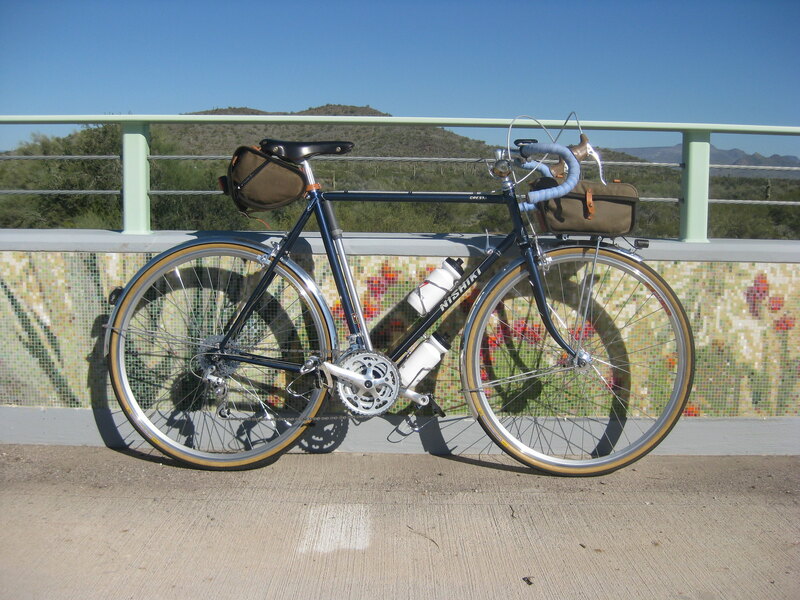 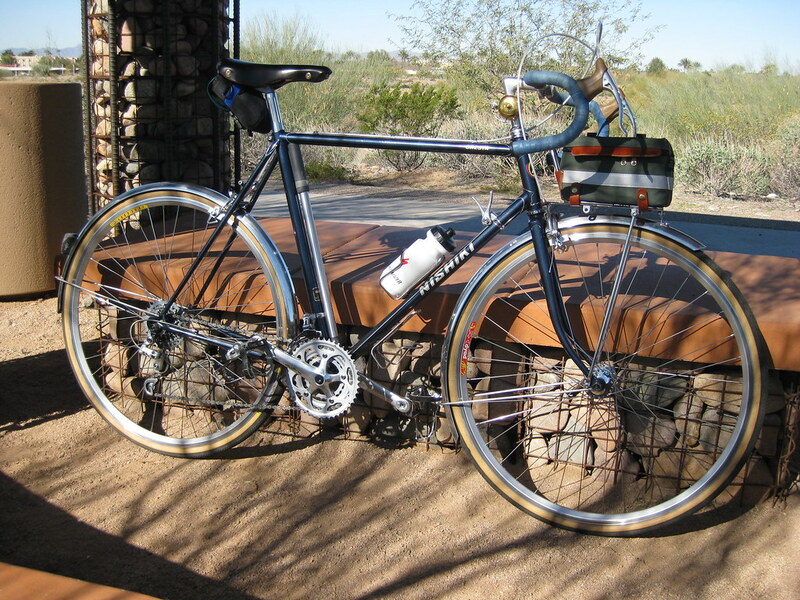 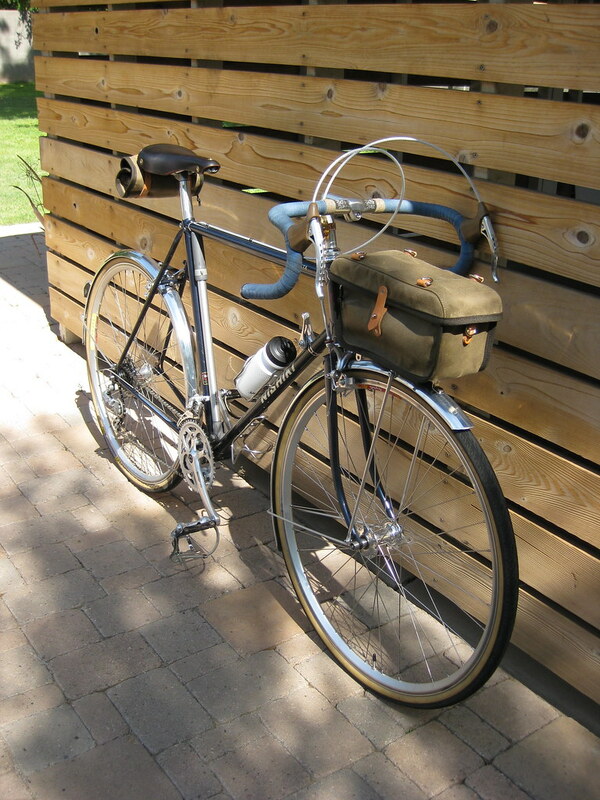 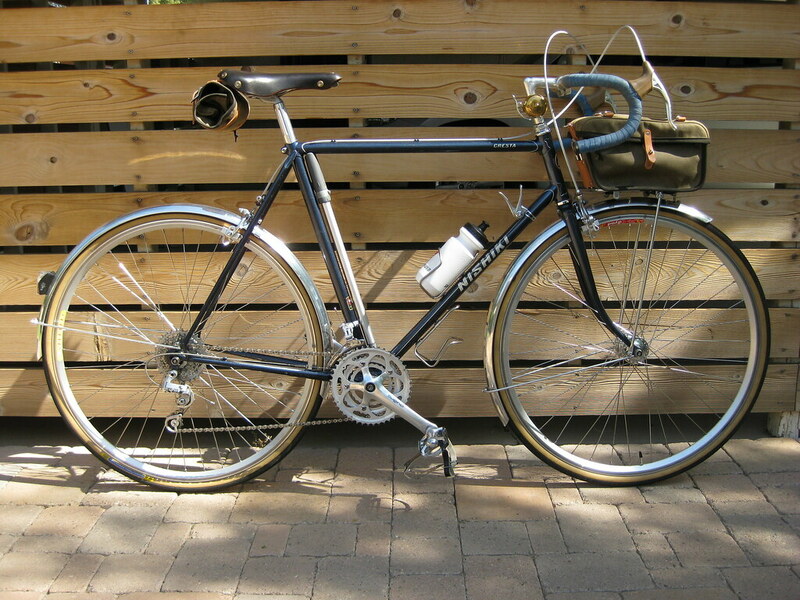 1988 Schwinn Voyageur fitted with bags I made. 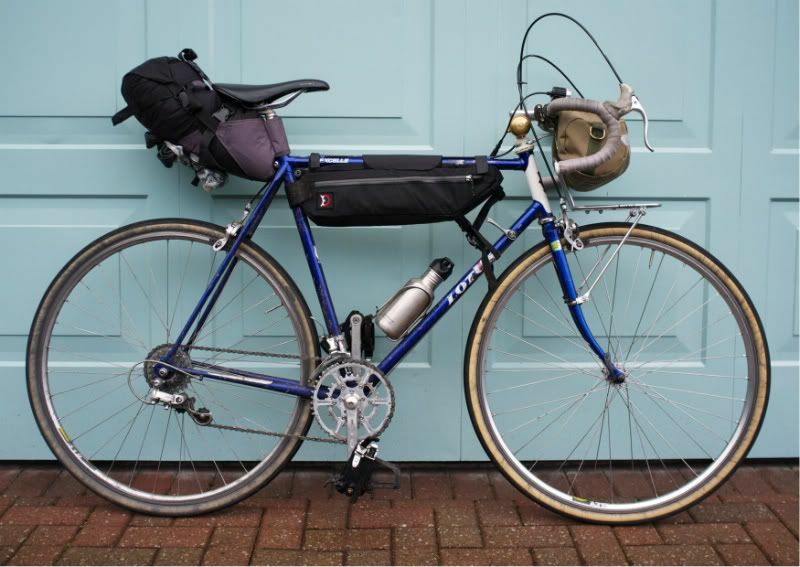 loving MTB touring conversions right now. 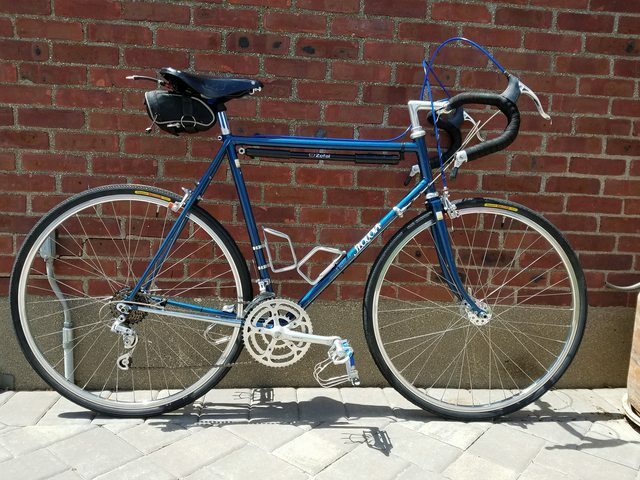 1984 TREK 520 Vintage Steel Touring Bike 24" 60cm Reynolds US Frame NICE! 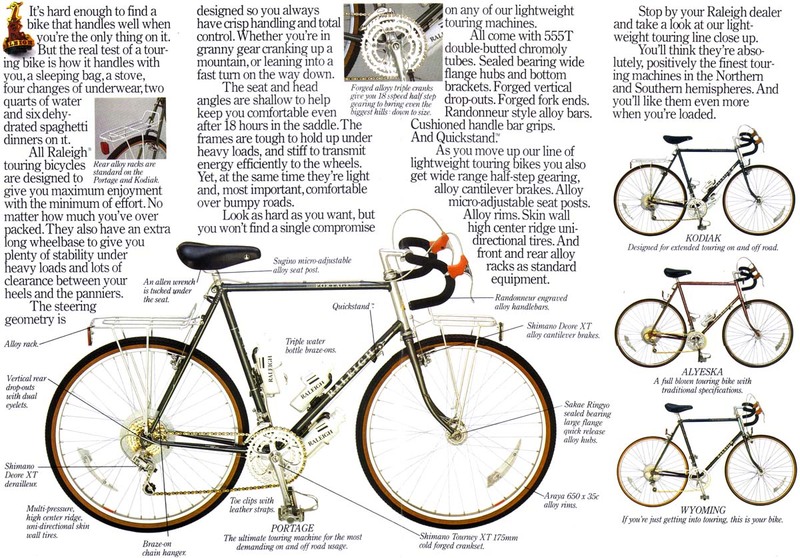 1984 Centurion catalog page on the Pro Tour. 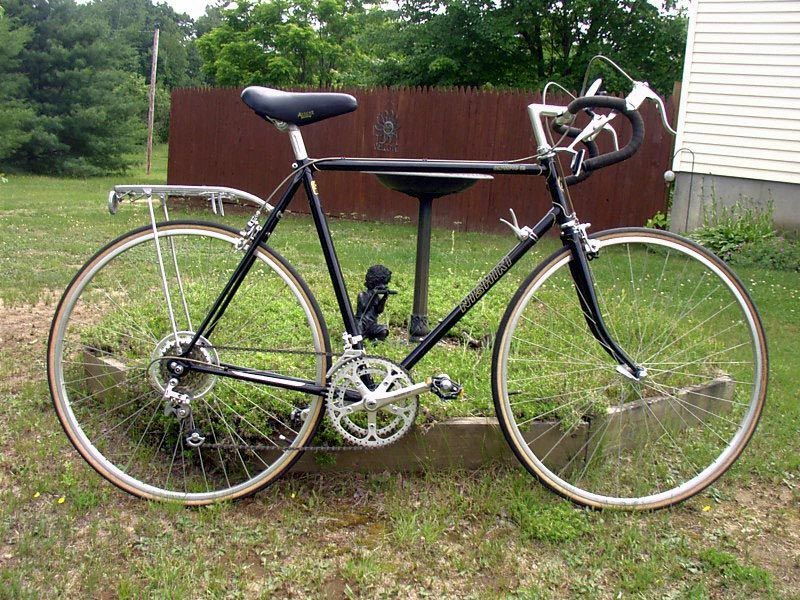 Lotsa stuff on the the internets about this model, too. 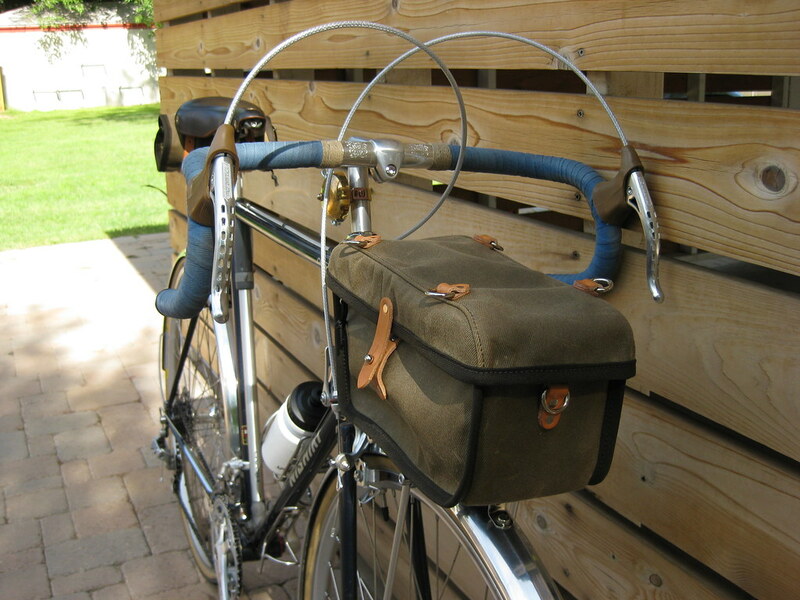 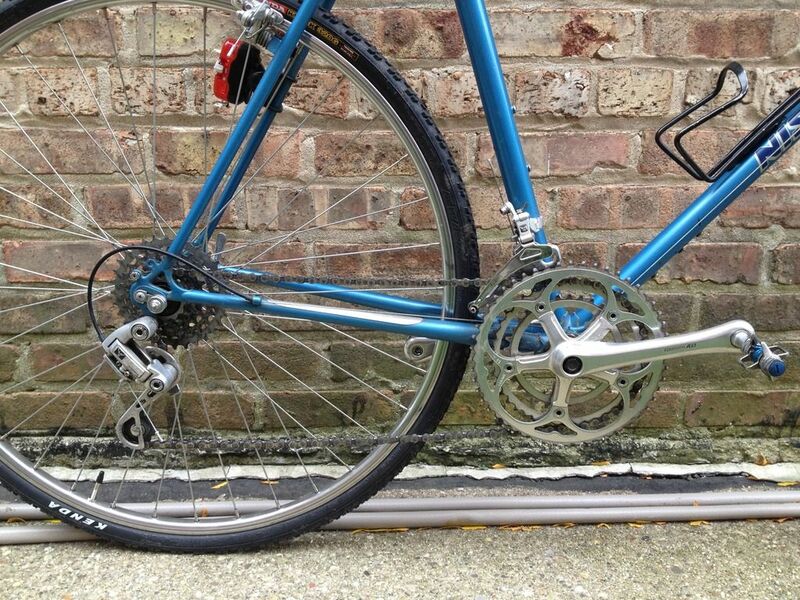 Boxer Campee Low-Rider Front Pannier Rack. 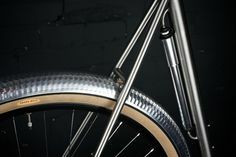 No mid-fork brake on needed. 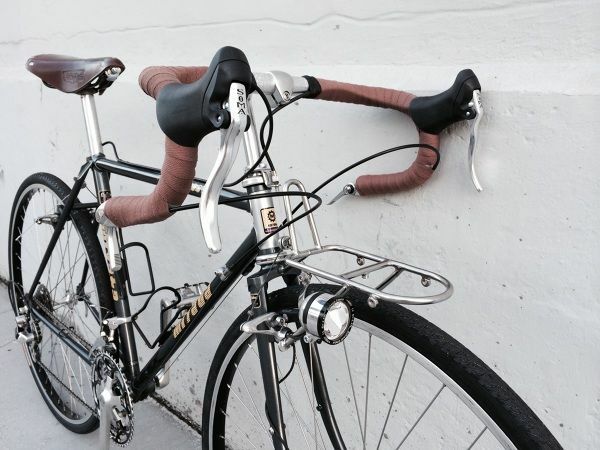 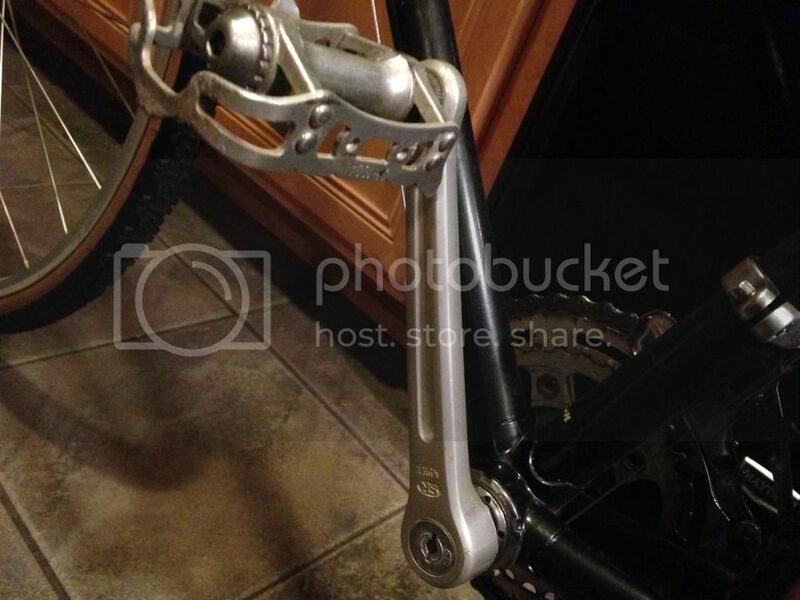 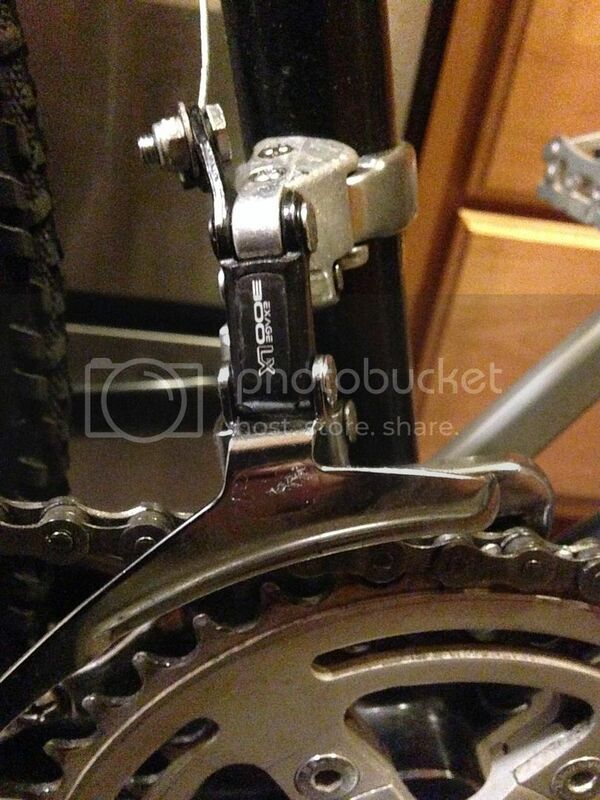 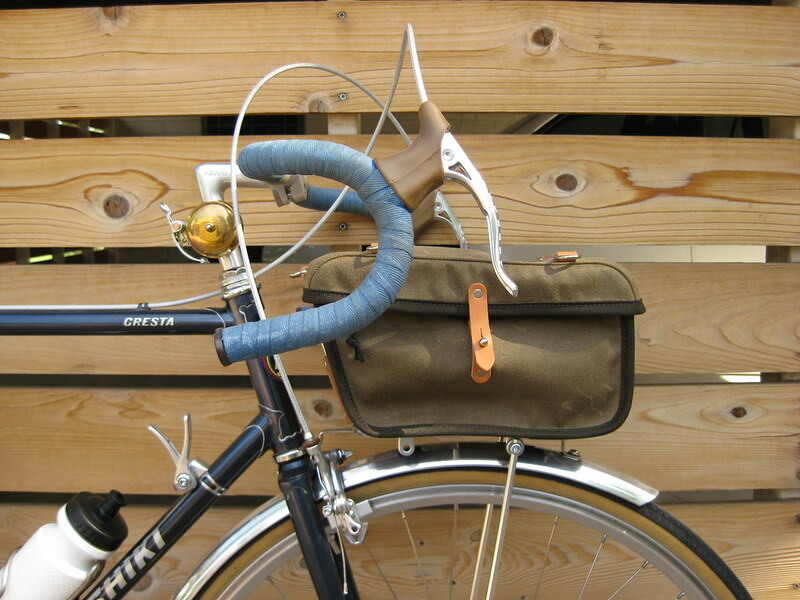 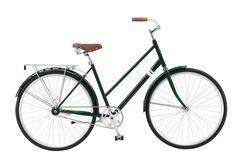 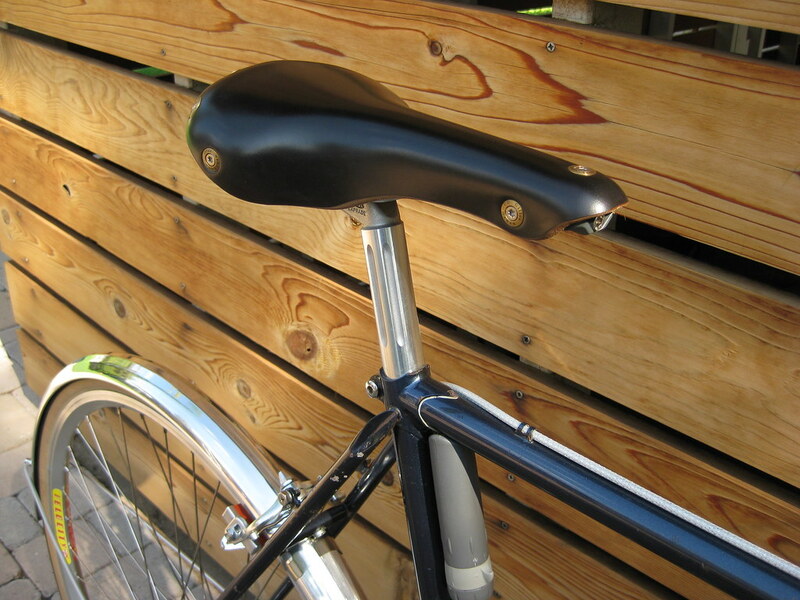 Attaches directly to a standard Velo Orange or Nitto front rack. 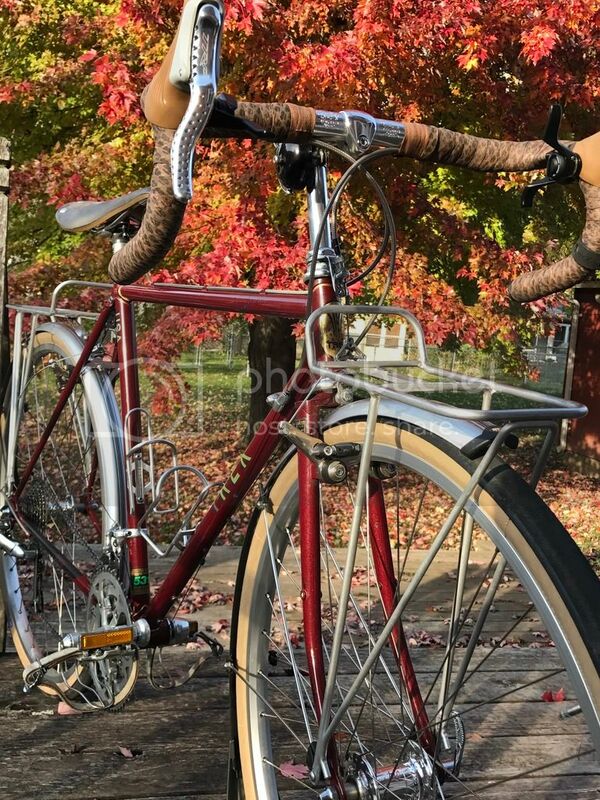 I just couldn't pass it up since the price was right. 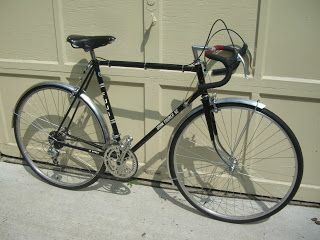 Here are some pics of it. 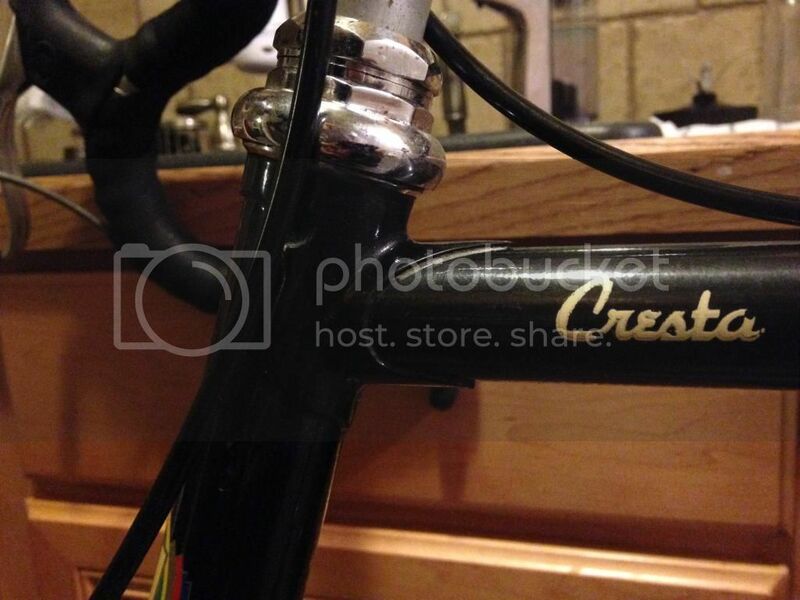 It still has a nice slick coat of wax on the frame from the previous owner. 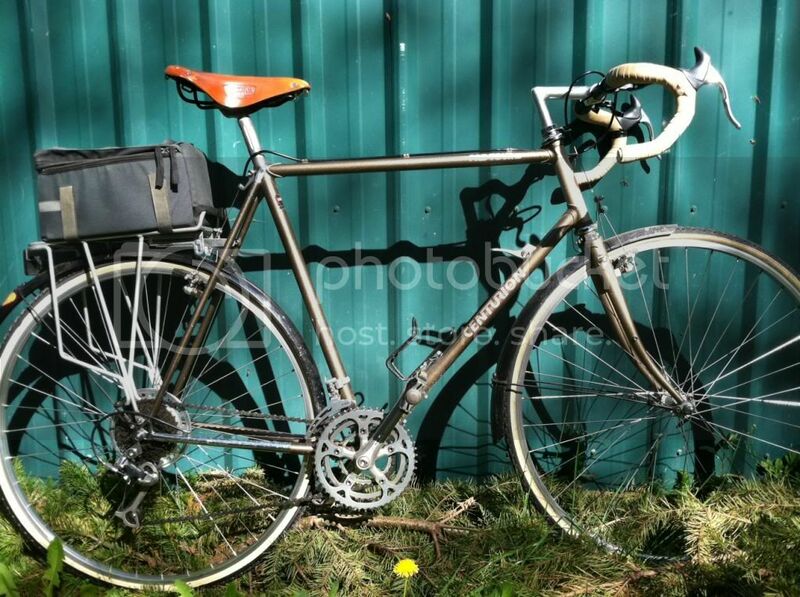 I don't think it's a cross bike, and it is not quite up to snuff for touring, except maybe "sport touring". 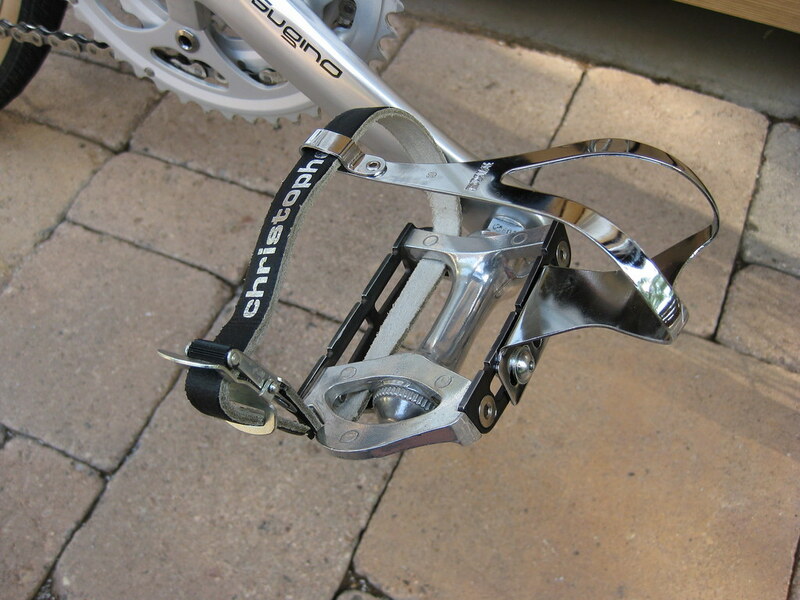 I found a beautiful set of Specialized Touring pedals on eBay. 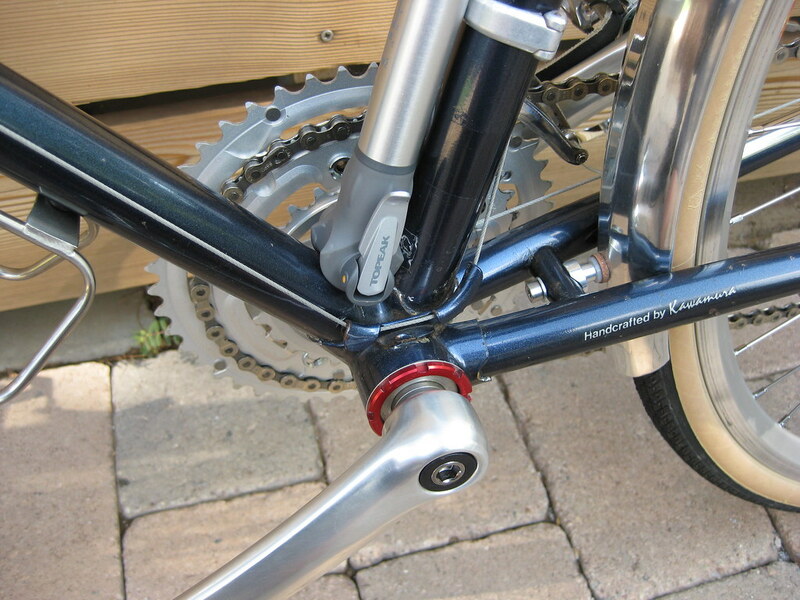 The quality of the frameset is what justified going "all in" on this build up. 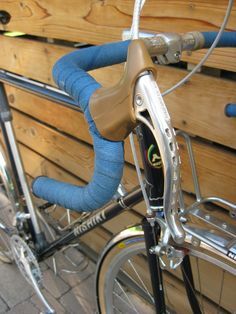 That, and the sentimental attachement I have for it. 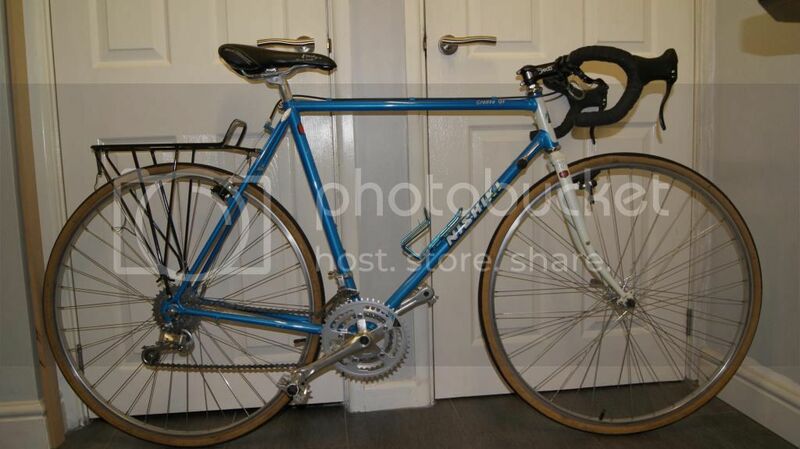 Not sure about the serial number, can anyone decipher? 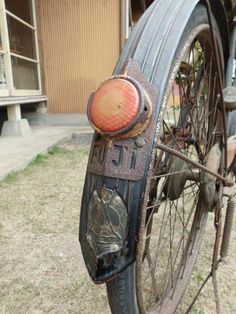 That's a C before the numbers. 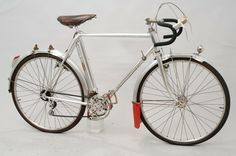 Wikipedia says Canadian but the numbers don't line up? 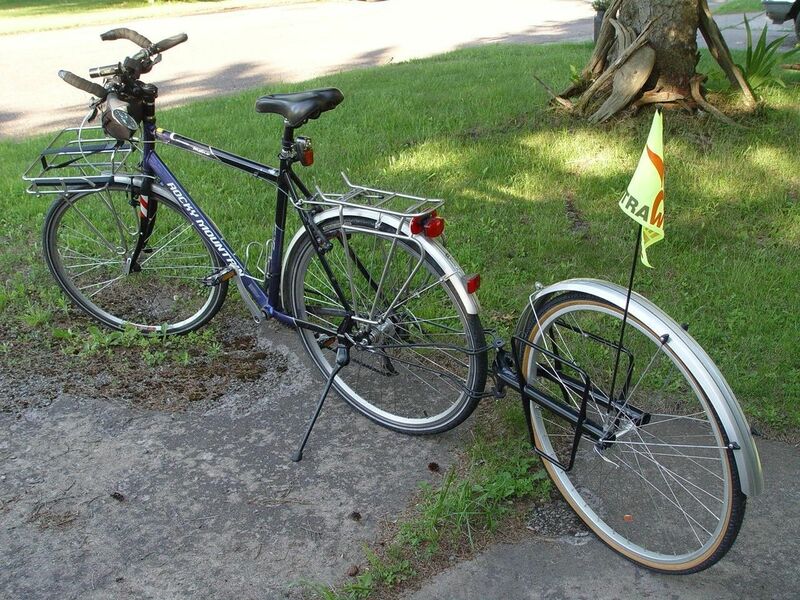 I'm selling this bike, what size are you? 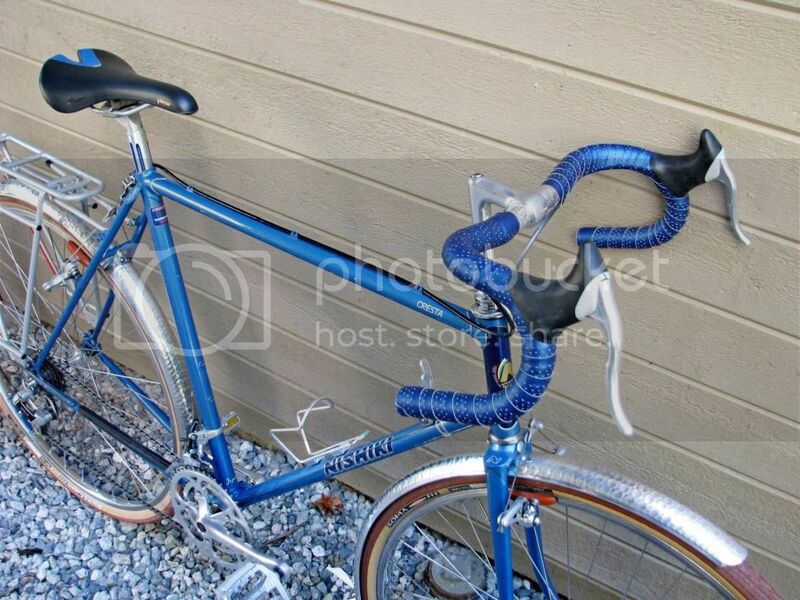 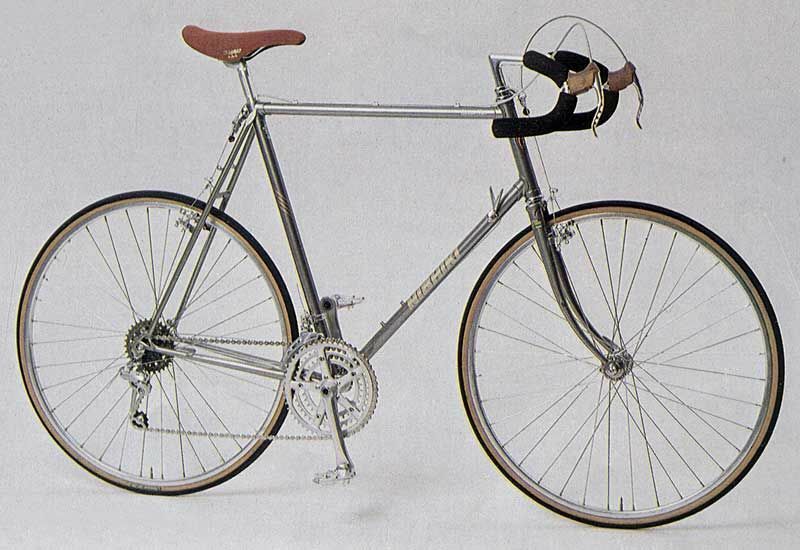 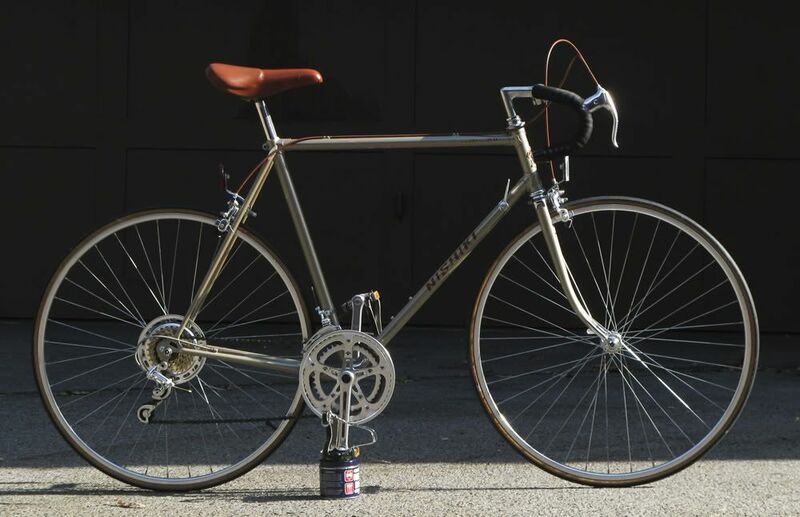 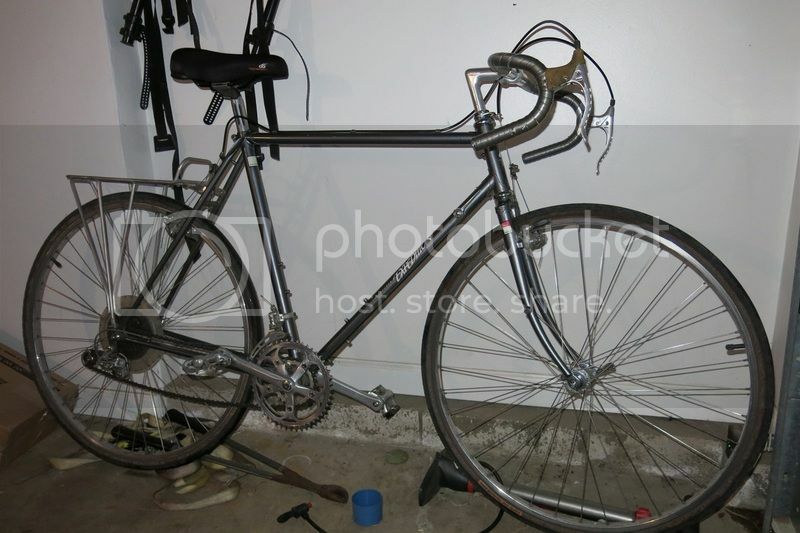 its a classic like the miyata 1000. 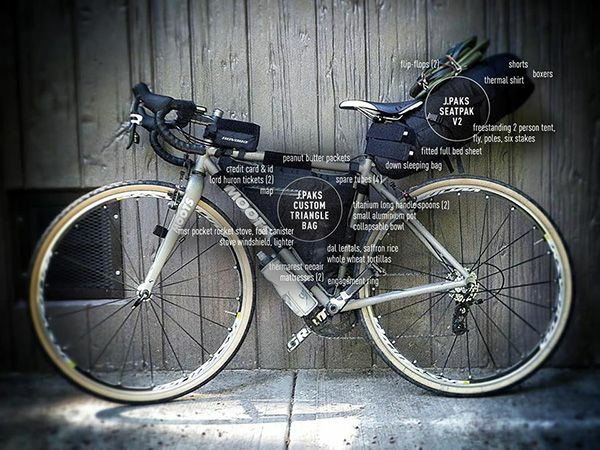 Specialized Expedition. 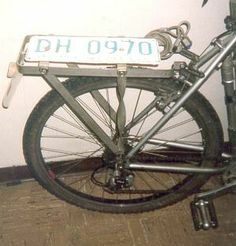 sz 56. 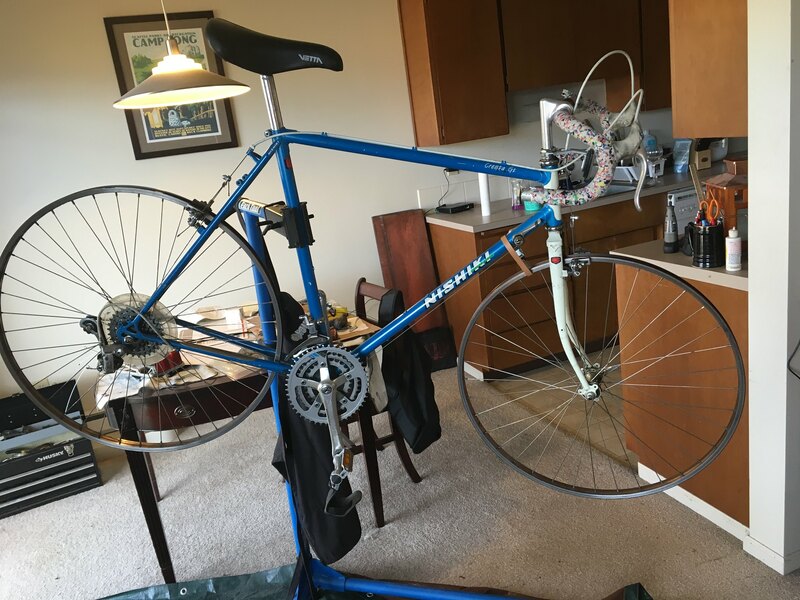 I'm 5'9 and it fits nicely. 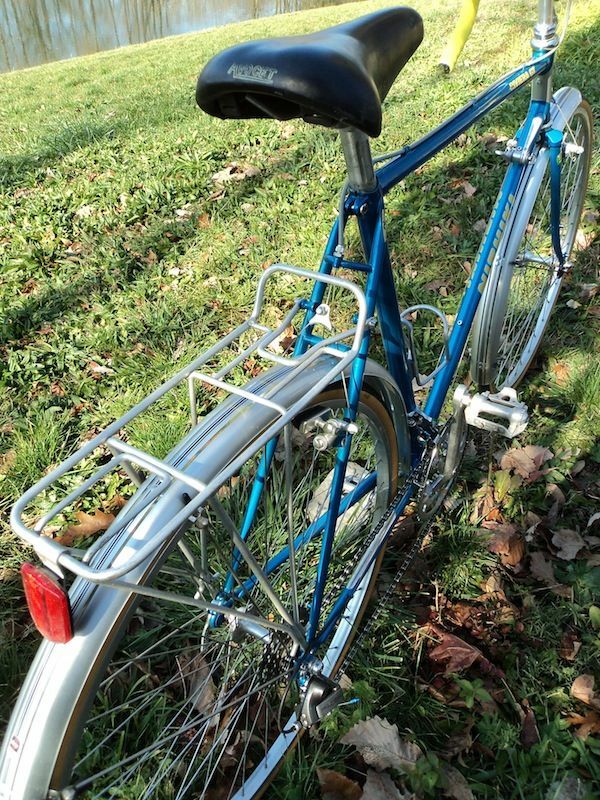 I installed Honjo LePaon fenders and a Nitto Mark's Rack up front. 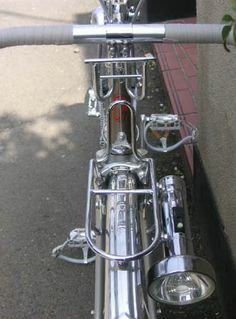 I plan to add a Nitto R-14 to the rear with a Spanninga Pixeo fender mounted taillight.